As I left Toptal, I got two weeks of paid leave and decided to use them to try and build a small web venture that had the potential to be cool. As I explained this to a few friends, I realized the idea could work. A few friends generously volunteered their extra nights, and we went on to work. In the last blog post on sustainable feedback, I made a point on how bad we are about giving positive feedback to developers at a systemic level. The sad reality is that when we measure the amount of positive reinforcement that all developers receive against the avalanche of automatically generated negative feedback, the negative side dominates pretty much everywhere. The current practices are not sustainable as a whole. In the next post I am going to detail what I want to do about it, so keep tuned! Today, I'm happy to disclose a little more of what we have been building: a tool called Badgie. Badgie monitors the internet for examples of "good behaviors" of developers and rewards them with achievements. That's it. 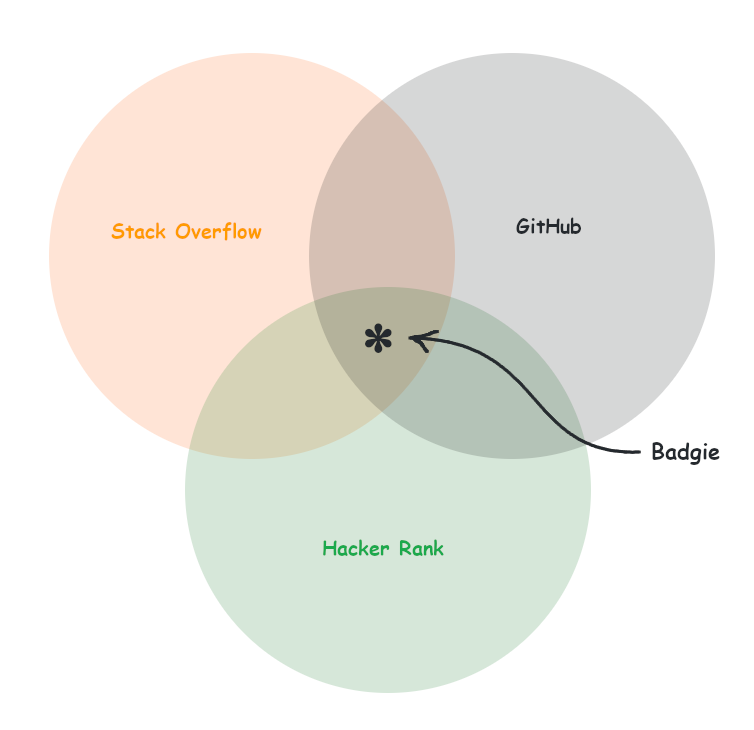 You can think of Badgie as a cross between Stack Overflow, Hacker Rank and GitHub. As a proof-of-concept, we have found 823,000 examples worth rewarding and we have only implemented six primary achievements. There are tons of unrecognized goodness out there! How does Badgie work for developers? You, a developer, sign up! You can link your account to some of the development platforms we know, and you frequent, like GitHub or Stack Overflow. We award achievements to you based on this knowledge 🥇! You can use the achievement system as a reward system to guide your career. Perhaps you'd like to get a badge for contributing to an open source project 😉? You can also use the achievements to compare yourself to other people by following them. You can see our top users of the month, week or year to see where you rank in the world. You also have a way of sharing your profile to your friends to show off if you so choose. If you decide to enable them, you can receive notifications of your awards. What badges are we considering? For now, we have only implemented simple badges, for achieving a reputation on Stack Overflow and for contributing to important Open Source projects on GitHub. In general, at a philosophical level, the achievements will be awarded for ...achieving stuff that matters and not for merely following recipes. That's the basic idea. Of course, execution is a whole other matter! Therefore, I am writing this to ask you to share your feedback with us. We want to do this right, to be a reputable, impartial site that is recognized by all, but most importantly that you find suitable. In the next blog post, I'll address any feedback received, report on progress and add more details! We considered calling this badger, but the meme drove us crazy!